If you’ve spent any time on Netflix, you are officially twice as close to death with little to show for it than cable users are. 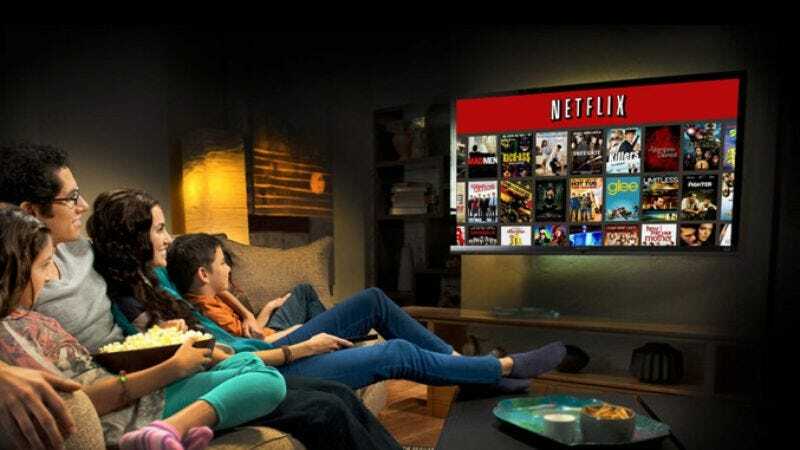 According to a new study, Netflix subscribers spend twice as much time browsing through the streaming giant’s vast catalogue of selections as cable users do flipping endlessly through their channel guide, before both inevitably settle on watching an old Parks And Recreation. For Netflix users, they spend an average of 17.8 minutes aimlessly clicking through, compared to cable watchers’ 9.1 minutes. It’s a statistic that confirms several things about the differences between Netflix and cable that perhaps did not need to be articulated in an academic study, and yet here they are. For one, there’s the paralyzing effect of what psychologist Barry Schwartz called The Paradox Of Choice, where too many options leave consumers overly fixated on missed opportunities—in this case, the time wasted on a disappointing movie when you could have just watched a Parks And Recreation. For another, there’s the illusion, propagated by both Netflix and cable, of endless hours of entertainment, even though when you actually delve into it, you can see only a small percentage of it actually appeals to you. Cable users, meanwhile, can quickly page past entire blocks of useless kids’, sports, and home shopping programming to get to the five networks they actually watch out of their 200-channel packages. This saves you time that you can then apply toward doing more things with your life, such as watching more TV. In other findings from the study conducted by the very professional-sounding think tanks at Reelgood and Learndipity Data, cable viewers were found to watch a slightly higher average of more programs per day than Netflix users—4.1 programs to 3.2—which The Wrap suggests is because Netflix programs tend to have slightly longer running times. Marginally more interesting was the study’s section regarding “attitudes” toward viewing: 75 percent of Netflix users surveyed very much like watching comedies, while only 56 percent of cable viewers do, which perhaps says something about the current quality of comedy on cable. And when it comes to wanting to watch something different than their spouses do, Netflix users (40 percent) and cable viewers (30 percent) feel pretty much the same there and are equally headed for divorce. Sorry, dear, but Learndipity says so. Finally, perhaps owing to the aura of word-of-mouth “discovery” that still surrounds Netflix, despite every one of its shows getting approximately 10 times the media attention, some 30 percent of Netflix subscribers—compared to 19 percent of cable viewers—say they would trust a friend’s recommendation more than that of a professional critic. It’s a statistic that only goes to further suggest a paradigm shift toward a future of home entertainment where I don’t have a job and can just spend all day browsing Netflix.